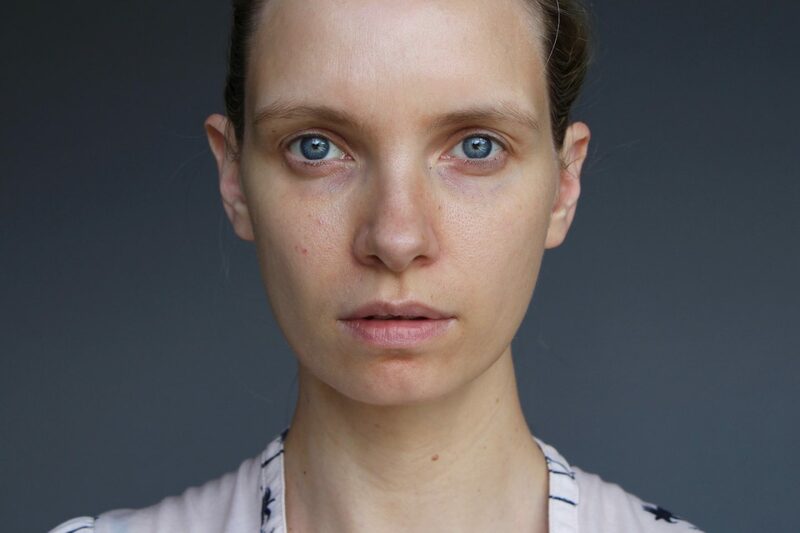 If my face looks slightly odd in the first photo, it’s because I was “fading out” some dodgy gradual tanner (thought it was sunscreen, joke); but it only serves to highlight just how good the coverage is. 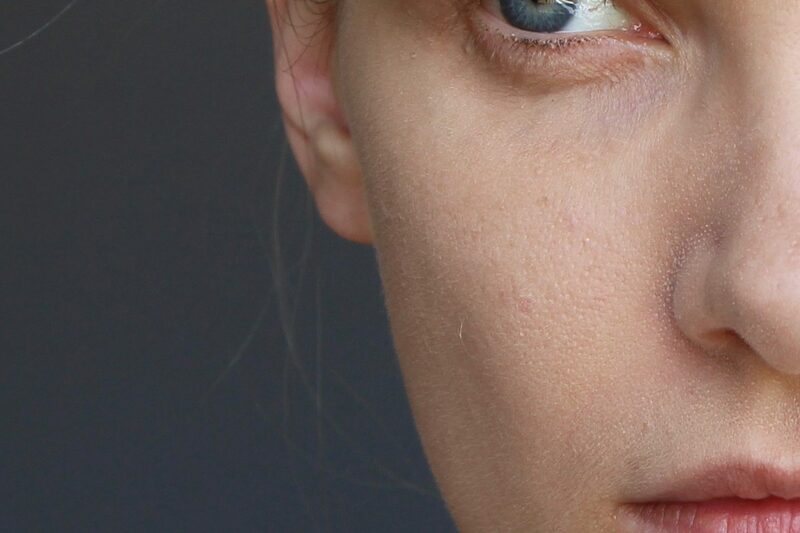 I find it quite hard to get my head around this foundation, because you simply can’t feel it – how then, can it possibly cover anything but the most insignificant blemish or pigmentation, the faintest areas of redness? You can hopefully see that the finish is non-cakey and smooth and that the coverage after one light application is at least a medium – I think that once it’s built up, it could almost be classified as a full coverage. I’ve seen some reviews online (there are 3111 of them on the Sephora website!) that complain that they get virtually no coverage at all from Hourglass Immaculate. I can see how you’d think that it was on the sheer side, but sometimes it takes a good before-and-after picture to be able to analyse something in a detached way! Had you asked me about the coverage before I’d looked through my images then I’d have said it was very light – I was quite surprised that the difference was so dramatic. I think Hourglass Immaculate Liquid Powder is a very, very clever foundation; how can something this light – and I mean it’s like swiping on air – give such a radiant, flawless finish? It’s not my particular cup of tea, because I don’t have oily skin and I don’t require the (amazing) mattifying effect that this foundation has, but I absolutely appreciate it. 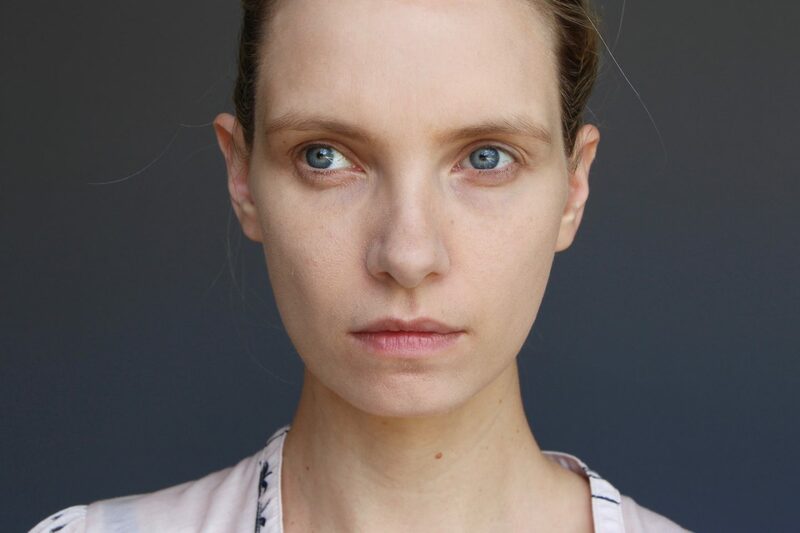 I often get an oily nose during the summer and some foundations and BB creams slip dreadfully; this sticks in place and keeps skin shine-free. The formula contains kaolinite clay which very efficiently absorbs oil without leaving the skin looking parched – it seems to skim over dry patches too, which you couldn’t say for the majority of matte foundations. Hourglass Immaculate Liquid Powder Foundation comes in 22 shades – I used Shell for this review, which is slightly too pale for me (see photo above for swatch) – but still looked believable when applied. I think because the texture is so fine it’s quite easy to blend the foundation to a completely undetectable finish. I used fingertips, but a brush (the stipply, buffing kind) would work equally well. 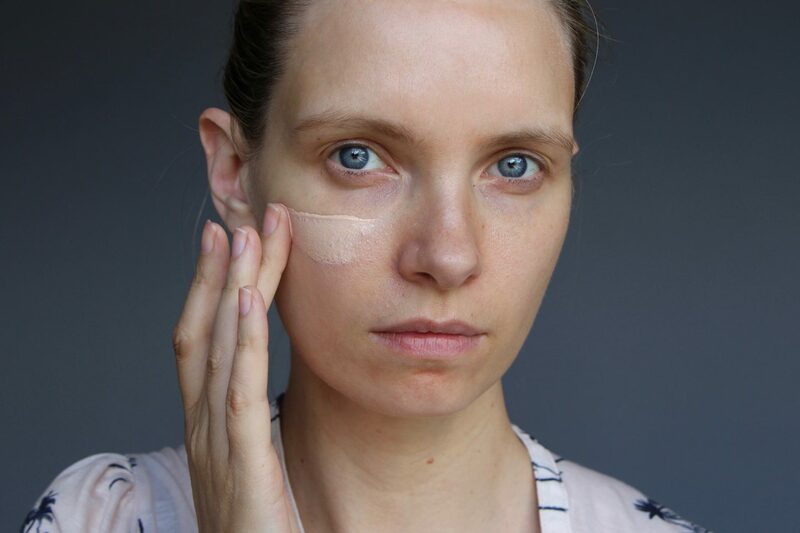 If oily skin is a real problem for you and you hate traditional matte foundations then this is a brilliant – if extremely expensive – solution. 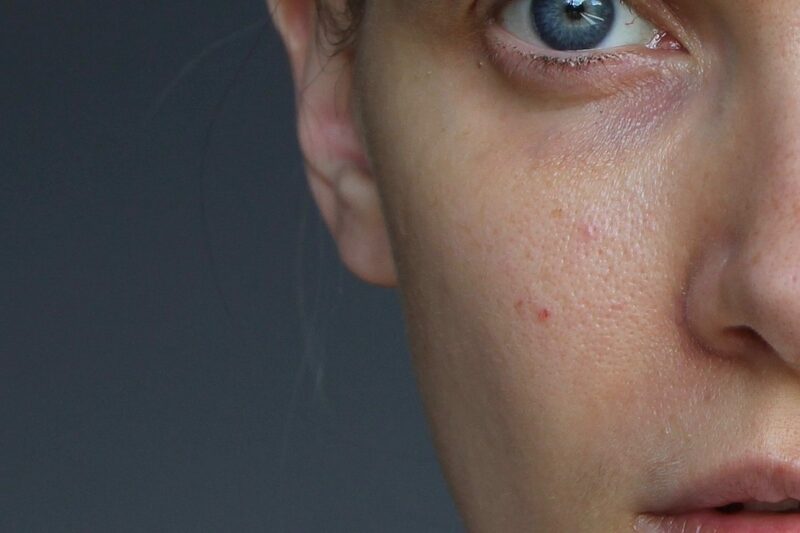 It’s like a wispy veil of powder sitting over the skin, except that it manages to conceal imperfections and help to even out patchiness and redness and pigmentation. I do keep having to refer back to my before and after pics, because when I wear it “in real life” it seems so sheer. Maybe the camera picks up on a flawless radiance that the naked eye can’t detect! It’s definitely one for oily or combination skin; dry or normal simply doesn’t need this level of matte. 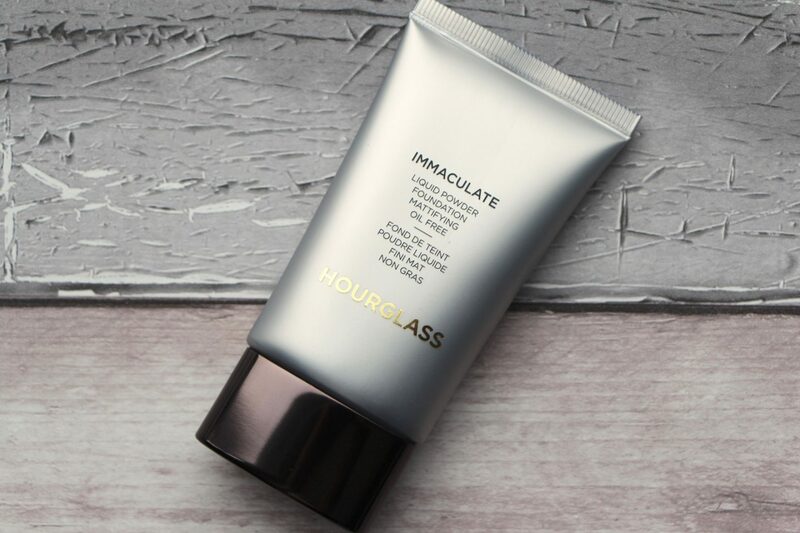 You can find Hourglass Immaculate at Sephora here* and Harvey Nichols here*. It’s £50. For a similar matte, oil-absorbing formula with a featherlight texture but a less eye-watering price then take a look at my review of the Effaclar BB Blur here. It’s not quite so refined in texture, and it only comes in two shades (major downside) but it’s very radiant and gives surprisingly good coverage.